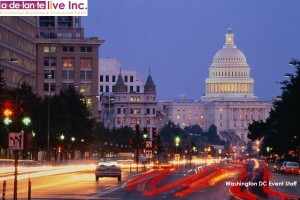 If you are looking for the best Washington DC event staff in the entire metro area event staff look no further! Let Adelante Live be your one stop resource for event staff and services for your next Washington DC area event, promotion, demo or tradeshow. Finding the right talent to deliver your message and staff your event is a crucial part of an experiential marketing campaign. Hire us for all of your Washington DC event staff needs including recruiting, scheduling and training talent who meet the demographic and psychographic casting requirements of your event and brand.